Ukraine announces its ambition to become a first player on AAU trade market. Over the last few months a lot of developments are happening on the mechanism of international emission trading in Ukraine. A new state Agency on Green Investments was created, number regulatory and institutional arrangements has been planned and with help of World Bank, Point Carbon and Regional Environmental Center few seminars and high level round tables were conducted. Ukraine is the second biggest supplier of AAUs after Russia and according to World Bank experts can offer from 0.45 to 1.5 billions of “hot air” to the global market. The head of the recently created Agency on Green Investments is financial advisor to the current Minister of Environmental Protection. He claims that Ukraine is planning to sell up to 1 billion of CO2e credits and will act strategically to influence the market price. According to the World bank director on sustainable development, Ukraine could become an important player on the market, but has to consider three main factors: time for action is an essence, there is competition on global carbon market since the current supply of carbon credits is much higher than demand and that carbon credits are a National asset and have to be treated accordingly. 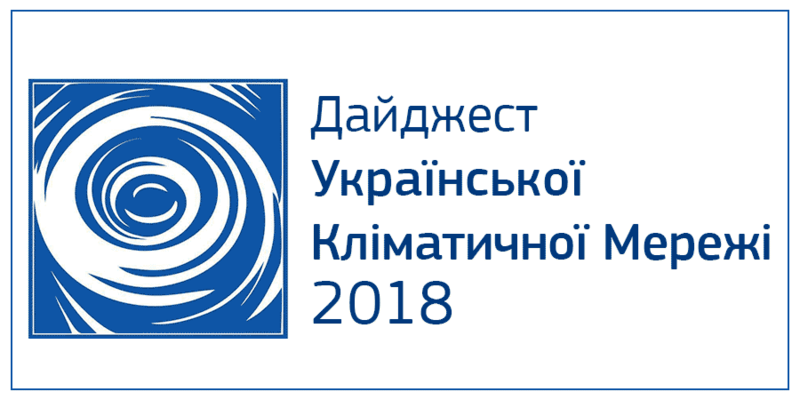 The Ministry of environmental protection admitted that Ukraine still has to finalize the registry under UNFCCC which is necessary to become eligible for Kyoto mechanisms and that the legal basis for AAU trading is still to be developed. Generally the potential buyers of AAUs put a precondition that AAU trading can be launched only with countries which have established so-called green investment scheme (GIS). GIS is a voluntary mechanism developed by seller-country to ensure that the money received from AAU trading will be utilized for green projects in accountable and transparent way. On the high level round table in Ukraine buyers’ perspective on AAU trade was presented with adviser to Japanese government on Kyoto protocol and representative from the Finnish embassy in Ukraine. According to the representative from Japan, the Japanese government does not have a clear plan to buy AAUs. The government plans to buy 100 million tons of CO2, but according to projections they will need from 500 to 600 million tons to comply with Kyoto target. The most important criteria for Japan as AAU buyer are price, green use of money and credibility. Japanese representative also stated that for Japan it is even “ok if some project fails to deliver results until the whole system is clear”. It is also preferable if the trading will take place after verification of emission reductions. The Japanese government is also considering authorizing Japanese companies to buy AAUs. Representative from the Finish government said that the country is planning to buy 12 million tons of CO2e from JI, CDM and International emission trading and that there are no explicit preconditions on green investment scheme as such. What are the parameters of green investment scheme in Ukraine? In 2006 the WB conducted a study for the government of Ukraine on the options for international emissions trading and created a concept for GIS. It has not been fully accepted by the government and therefore the government is in the process of creation of a set of criteria for project selection, institutional and legal arrangements and other issues. Among suggested sectors under GIS: methane utilization from coal mines and landfills, wind energy, biomass, development of bioethanol factories, steel industry, gas transportation, forestry, municipal sector and environmental education on climate change. The representative from NGO working on climate change issues raised their concern on the lack of supervisory committee for activities with AAUs. Another big issue of concern is a plan to invest in the sectors which are already participating in JI mechanism and those which are economically viable without state help.